The BASIC group said there was a lot of double accounting in that figure, and in any way, no one was sure about the methodology of the calculations. After two days of ministerial meetings, negotiators at the Paris climate change conference on Wednesday began work on incorporating all progress made on specific issues into a new draft text that is set to be released. On Tuesday evening, the countries reported back on the negotiations they had throughout the day. On some issues like technology transfer and capacity building, the countries reported “significant convergence”, while on others there was still little progress. Vivian Balakrishnan, the minister from Singapore, who was appointed to facilitate discussions on differentiation, said the countries were not yet ready to place their final positions on the table. The Norwegian minister who was facilitating talks on whether the overall goal should be restrict temperature rise to 2 degree or 1.5 degree from pre-industrial times, said most countries were willing to allude to a 1.5 degree target in some form in the agreement. There was a certain buzz around the 1.5 degree target outside the meeting rooms too after the BASIC countries comprising Brazil, India, China and South Africa said it was open to discuss that option. On the issue of finance, however, the BASIC countries opened a new front, rejecting the developed countries’ contention that a majority of the US$ 100 billion that they have committed to raise by 2020 had already been disbursed. An OECD report that had come last month had claimed that by 2014, about US$ 62 billion had flown from developed countries to the developing ones in climate finance. “Double accounting cannot be the real number. It does not reflect the real number,” was the cryptic response of India’s Environment Minister Prakash Javadekar when he was asked about the OECD report. The other three countries were more expansive and raised serious questions over the methodology, and said a commonly-agreed methodology must be evolved at the Paris conference to calculate such number in future. “Indeed the report says that they have come up with an amount of US$ 62 billion. The reality is that countries were not consulted in putting together the narrative behind what is being calculated. We still have to agree under the UNFCCC mechanism on what is to be counted as climate finance. For example, if one country receives a loan and after a period repays it, can it be counted as climate finance? What proportion can be counted? Can the interest be counted?” argued the South African minister Edna Molewa. Brazilian Minister Izabella Teixeria said such calculations cannot be done outside the UNFCCC forum. “I am not saying OECD is not good. But I cannot have data outsourced. I need to have formal and official data. It is very important to have accountability and transparency in this process. 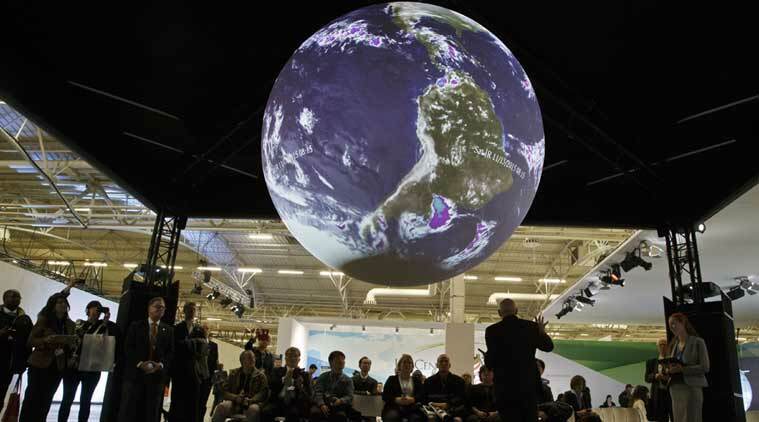 That is why we are working so hard to adopt clear rules on counting climate finance at this conference,” she said. Chinese representative Xie Zhenhua said it was important that both the donors and recipients are able to come up with the same figures on climate finance. “It cannot be that one set of countries say that the money has been given and the other says we have not seen the money. There must be clear rules in which countries are able to report how much has been given, and recipients say they have received the money and used it in this area. We cannot have confusion like this,” he said. 1 Paper Clip: Which airlines are the biggest guzzlers?